AIDS Action Committee of MA (AAC) and the Massachusetts Viral Hepatitis Coalition (MVHC) created this guide to help residents locate hepatitis C services in our state, including testing sites, treatment specialists, and support groups. Download Hepatitis C Resource Guide. 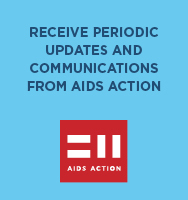 AIDS Action’s Health Library program is one centralized place where you can find and download up-to-date and factually sound information on hepatitis. Visit the hepatitis C topic page in the online library for more information. May marks Hepatitis Awareness Month and May 19 marks National Hepatitis Testing Day. This month provides an opportunity for concentrated messaging around hepatitis prevention, testing, and treatment. Help raise awareness about hepatitis prevention, testing and treatment through Facebook and Twitter. Download the toolkit here. Check out the online library for quick and easy fact sheets to print and distribute. Use or adapt an existing, tested curriculum. AIDS Action has a downloadable infographic with basic information about hepatitis C in MA. Click here to download it. Want to Get More Involved in Fighting Hepatitis in Massachusetts? Join the Massachusetts Viral Hepatitis Coalition. Information can be found here.